Be it the Tiobe index, the analysis of RedMonks or even the results of PYPL – all evaluation systems of the current programming languages see Java in first place or second only understandable if so for its own software development, especially the various Java frameworks under the magnifying glass are taken. The question arises: Which Java frameworks may we assume at the top of the charts next year? 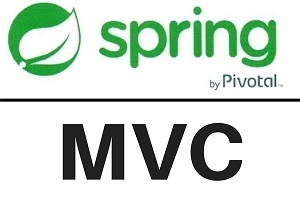 Spring MVC is now one of the established classics in Java-based application development for web applications. Therefore, it can be assumed that this framework will also take one of the first places in the coming year. With the version 5.0 expected in September, not only the Java JDK version 9 supported, but also important innovations will be released. WebFlux incorporates a promising framework that is fundamentally based on a reactive, non-blocking stack, making it ideal for asynchronous and streaming scenarios. Also, the Java Framework opens in many places in the programming language Kotlin, which may be much trusted in the future. Fine granular modularity: Only the components of the framework that are really used need to be integrated. Dependency Injection: A method with which the dependency between different classes is ideal, i. H. modular, without overhead and very easy to test, can be solved. Easy Portability: The created application runs on a very wide selection of different WebContainer (eg TomCat, Glassfish etc.). Broad community support: Support in various forums, platforms and sponsors is easy to find. Not complete: May be considered a disadvantage or strength, but for a complete application development for other areas of data connectivity, transaction control, security, etc., other frameworks must be used. No RAD tool: Relatively much coding is required, which requires more manual effort in large projects. A second framework from the product range of Spring should also find the place among the top candidates here. 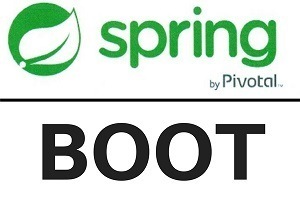 Spring Boot follows the concept of “conventions before configurations” and should simplify the quick start into application development. The starter package already includes an AppServer and the most important configurations, so that you can start the development without a complex set-up. It consistently uses Java Configuration Services, which allows dependencies on other tools and frameworks to be managed by Spring Boot. In principle, Spring Boot can use all the features of the other Spring projects and include them. The approach is currently targeting projects that rely on microservice architectures, as Spring Boot can pull everything together, from the first class for database access to WebContainer. Very easy set-up: The initial project can be created and downloaded on the website via Wizzards. Simple deployment: Spring Boot takes over the dependencies, a simple call and the container incl. Application are provided. Simple debugging: Since it is a simple Java application, it can also be used as such for debugging. Focus: Like most frameworks, Spring Boot only covers a specific area of application development. Without further frameworks the project will not succeed. Coding: Even though the annotations are already doing a lot of work, at the end of the day it still remains with an extensive amount of lines of code that need to be written. Enterprise Applications: Focus is on stand-alone application in a microservice ecosystem. If an enterprise application is needed, the approach is not helpful. 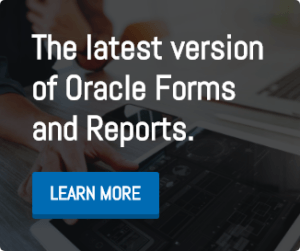 Oracle’s full Java framework covers the entire application development stack, from data connectivity to a variety of data sources, from visual declaration of task flows to the design of the UI based on Java Server Faces technology. The combination of wizards and the degree of freedom in the concept of the JEE platform anywhere to integrate their own components, provide unprecedented productivity for the developer. Particularly noteworthy are the preconfigured possibilities to provide the created application on all levels with a comprehensive security concept and without further implementation to give the user the opportunity to customize the application after deployment to their own ideas. In addition to the framework linked to the Weblogic server, Oracle also provides a free version with ADF Essential that is certified with the Glassfish server. B. on TomCat servers can be used. Productivity: The approach to edit XML files either via wizards or in the editor, which are then interpreted by the framework, saves unnecessary coding. Full: There is no other framework, tools or classes necessary to create a complete enterprise application. Technology Encapsulation: The framework encapsulates basic technologies, such as: As HTML5 and facelets and thus ensures the releases that each current and established implementations are used. IDE Binding: Use of the framework is tied to the IDE JDeveloper (recommended by Oracle) or Eclipse. Other IDEs are not supported. Limits of generation: If requirements are to be implemented that are outside the mainstream of the framework, the complexity increases disproportionately. Binding to Weblogic Server: The Weblogic Server is required for full functionality. ADF Essential solves the problem, but requires its own implementation for security and customization. Java ServerFaces describes a web framework for creating applications based on Java as well as servlets and JSP (Java ServerPages) technologies and belongs to the technology stack Java EE. The approach of the Model-View-Controller concept is strictly followed, modularization and reuse allow an efficient design of the user interfaces. JSF is implemented by a number of web frameworks. These include ICEFaces from IceSoft, RichFaces from JBoss and – most prominently – PrimeFaces from PrimeTek. Only last year, PrimeFaces was awarded the Java Community in the Enterprise Java Duke’s Choice Award. PrimeFaces is a lightweight library that tries to make the complexity of UI design as easy as possible. Especially with Spring applications in the backend appealing enterprise applications can be created. Easy to use: The concept of getting along with a JAR without further dependencies makes it easier to integrate into your own development infrastructure. Community support: Literature, blogs and support in various forums are widespread and provide rich and valuable content. Standard: It follows the JSF and JEE standard, allowing integration into and from other frameworks that follow this pattern. For the area JSF PrimeFaces can be accepted as quasi-standard. Scope: PrimeFaces focuses exclusively on the design of the UI. Other frameworks are therefore imperative for the data connection and the controller. Data Binding: The integration of data binding is time consuming and quickly becomes extensive. Technically demanding: There are many options available for the UI, which can quickly lead to a complex implementation and require a high level of technical know-how. Vaadin is a web framework that allows the developer to write the complete application on the server side exclusively in Java. The framework uses Google’s Java-to-Java Script Compiler “Goolge Web Toolkit” (GWT) to represent the UI in the browser. In this combination, Vaadin gives the user the feeling of a true rich client interface with standard features such as: For example, column sorting and the abandonment of complete page refreshing. Support for the development environment is particularly evident in the Eclipse area, where Netbeans and IntelliJ are also supported. In addition, Vaadin also offers a Visual Designer, which allows a WYSIWYG development of the web front end. Helpful plug-ins from the manufacturer: These include a spreadsheet component, native smartphone and tablet support, UI Testing Tools and more. v. m.
Easy integration with Spring: Full API integration, ideal access to Spring Data deployment. Use: Efficient implementation focused on server-side Java programming. Costs: If Vaadin is to be used in its entirety, with all plug-ins and maintenance, the service starts at 800 € per month. Generated Code: Relatively large, as the client-side generated Java Script components are getting quite large. No client-side processing possible: Each request goes first to the server and this can be time-consuming. Currently, more than 60 web frameworks are listed on Wikipedia. The selection in this article is our perception and refers to the frameworks that become visible to us in conversation with our customers. Application development on the Web shows that at least two Java frameworks from different vendors often have to be used to develop a complete enterprise application. The exception here is Oracle’s Application Development Framework, which offers everything from data connection to UI from a single source. Since a large number of applications rely on Oracle databases in the backend, this framework offers itself all the more.